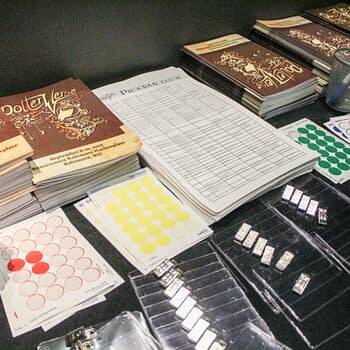 The newest convention from Onezumi Events, Potterverse, was held last weekend in Baltimore’s Renaissance Hotel, located in the heart of the Inner Harbor. The convention was a three day long celebration of Harry Potter, one of the most endearing book franchises of all time. 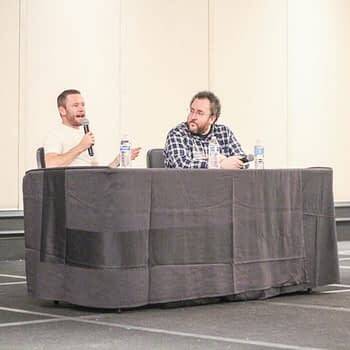 The guest list was pretty impressive for a first year con; Natalia Tena, Sean Biggerstaff, Devon Murray, Chris Rankin, and Afshan Azad all came out to meet with fans of all ages. The artists alley and dealers room were also pretty good for a first year con. One trend I did notice though, was the abundance of tea vendors. I’m not complaining, since I certainly bought the heck out of it, but I never realized how much Potter fans liked tea. There was a good selection of vendors (other than tea), and almost everything had to do with Harry Potter or the like. Wand makers, artists, puzzles, and other items were on display waiting for people to buy them. I spoke to a few dealers who all agreed that while they were overall doing well, whenever there was a big panel or event, traffic died. Truthfully there’s no way around that, so hopefully next year will be better. At no point did it ever feel crowded at the con. Crowds were minimal, though there was an influx of people on Saturday. Overall I enjoyed myself a great deal at Potterverse, and I can’t wait for next years con!